The fastFIX range of solar panels are designed for easy installation, the panels have 2M of cable attached fitted with an S-S connector so it really is simply a matter of plug-in and start charging. Our Sunshine fastFIX 32W solar panel is most typically used as a heavy duty battery maintainer for keeping 12 volt batteries fully charged whilst unattended and they also suit weekend leisure pursuits where a battery is used such as caravans motorhomes & boats. With a Sunshine 32W solar panel you could expect to generate around 9 amps per day during the summer months. 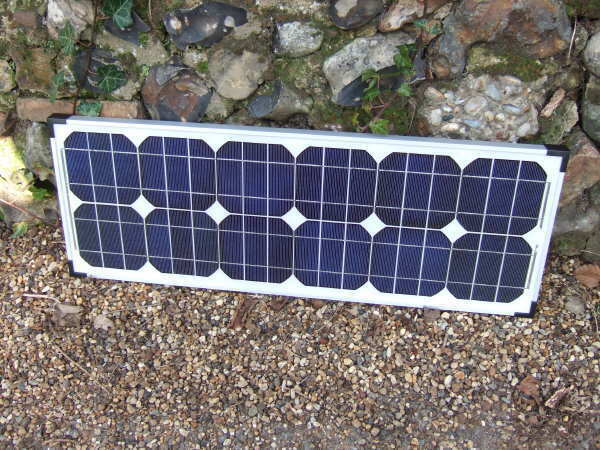 The shape of this solar panel combined with its compact robust design makes it ideal for pole mounting if needed. For this fastFIX panel we would recommend our 7A charge controller which also has S-S type connectors so connecting and disconnecting the solar panel is quick and easy without the need for any hard wiring. Four Panel or Two Panel Solar Connector Cables. Save Money..... on accessories when you purchase them with this product.